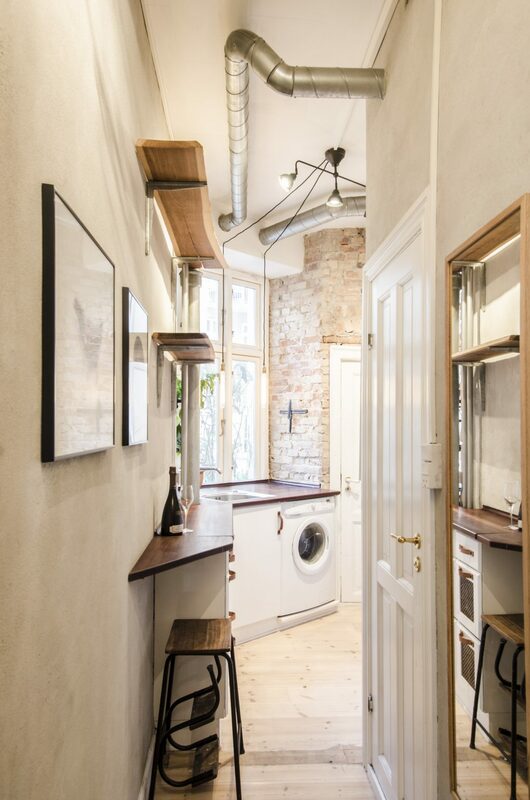 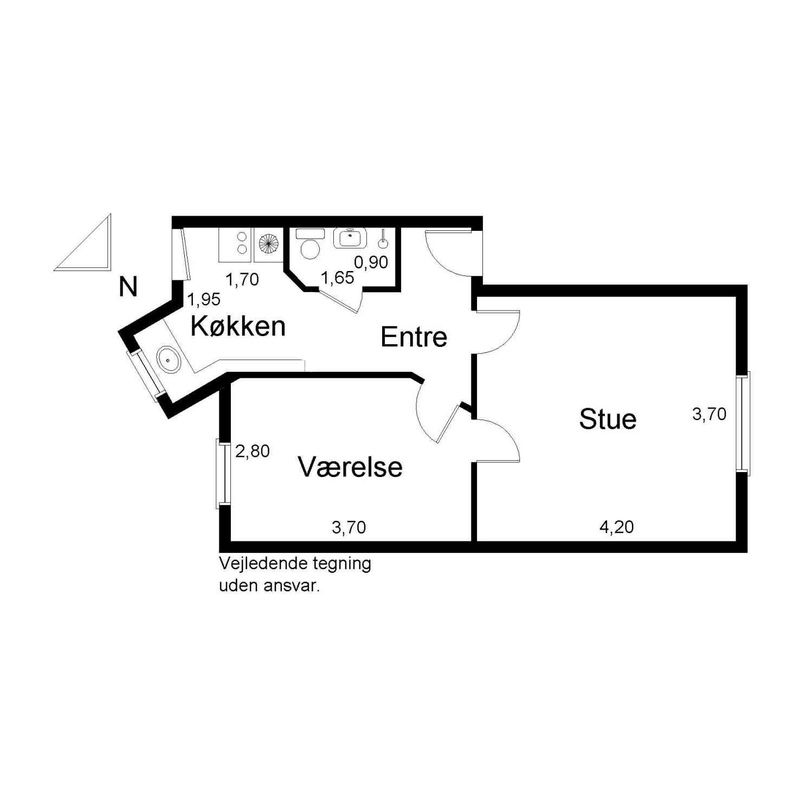 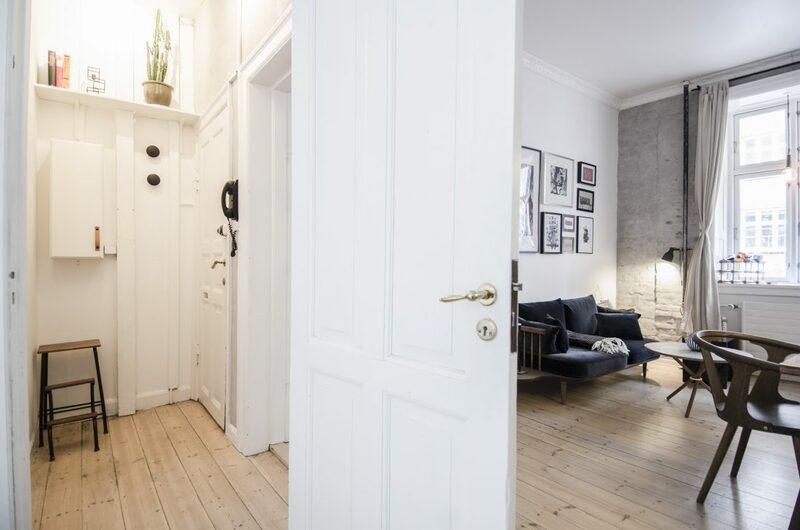 The ideal two room central nordic townhouse style apartment for sale on Christianshavn. 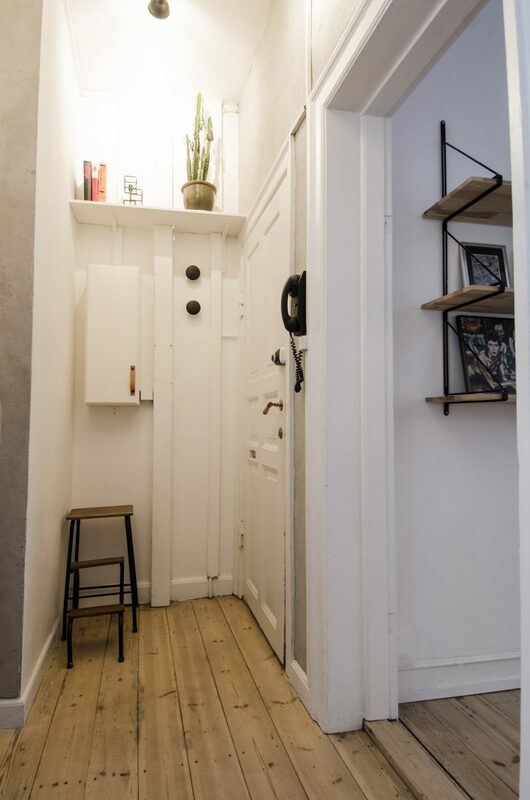 From the entrance, there is access to all the rooms of the apartment. 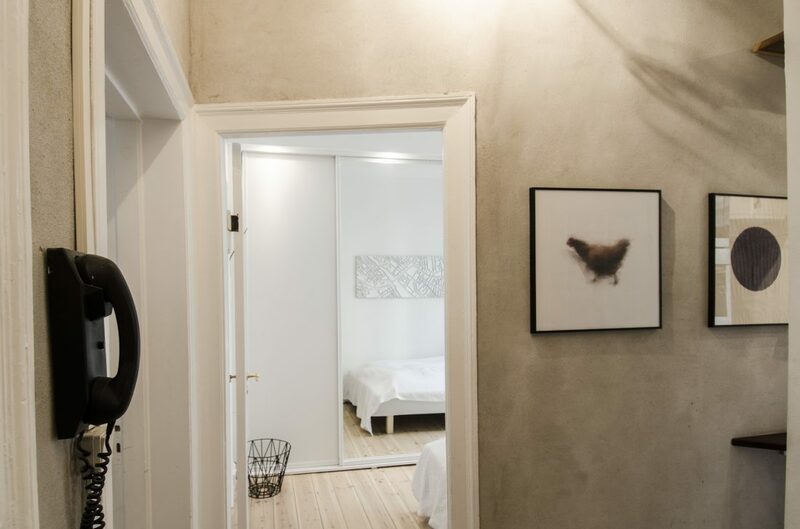 The walls are treated with light grey sand plaster which contrasts the white wall by the door.